This listing is for the mani-pedi balm set. If you would like to purchase only one of these items please see the links below. 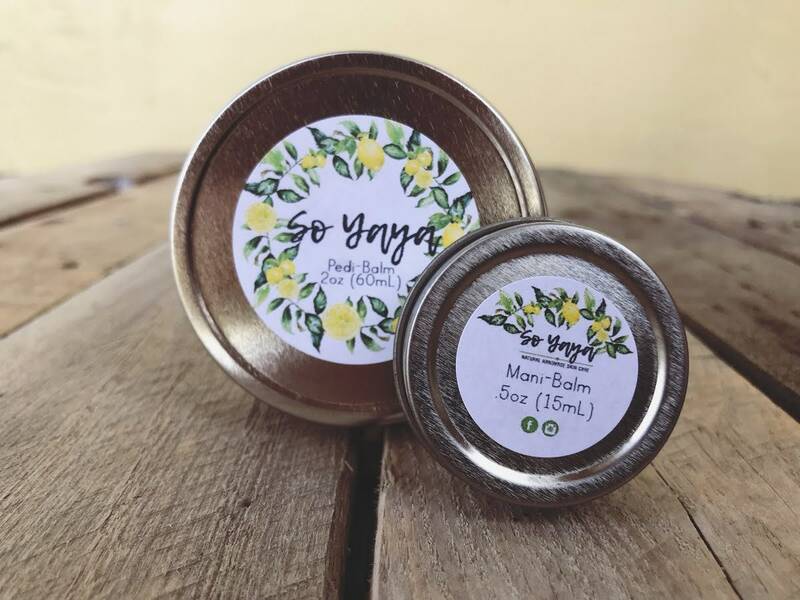 This herbal scented foot balm is made with a blend of oils and butters that work to hydrate and repair cracked heals and tired toes. Repair your feet as opposed to shaving off callouses that make the bottoms of your feet tender. Tamanu oil is used extensively in many Asian cultures to heal wounds and treat skin diseases. Stearic acid is a fatty acid that naturally occurs in coconut oil, palm oil, cocoa butter, and many other fats. It helps to soften the skin and give this balm staying power. Directions: For best results, apply generously all over feet after showering and put on socks before bed. Make this your bedtime ritual a few times a week.